Working on Slingsby theatre productions is always a treat and when that involves creating all the promotional material and artwork for a show celebrating the life and work of Edward Lear (1812 – 1888), it’s pretty much perfect. 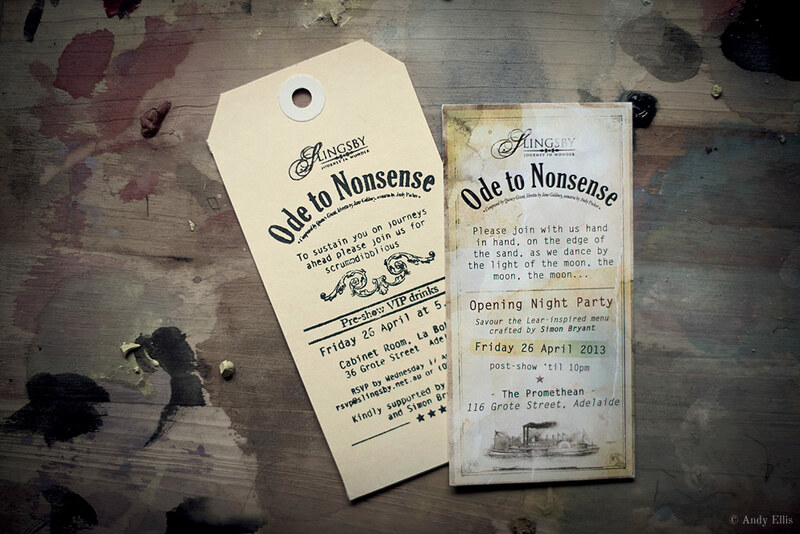 Below is the main artwork I created to promote the show along with opening night booklet & VIP tickets. Little Edward is captivated for a sublime moment by the magic of a travelling carnival. The real world forever after seems to disappoint him. As an adult, he escapes into his enchanting imaginary ‘Gromboolian Plain’, populated by beings with luminous noses, hysterical ears and impossible adventures. 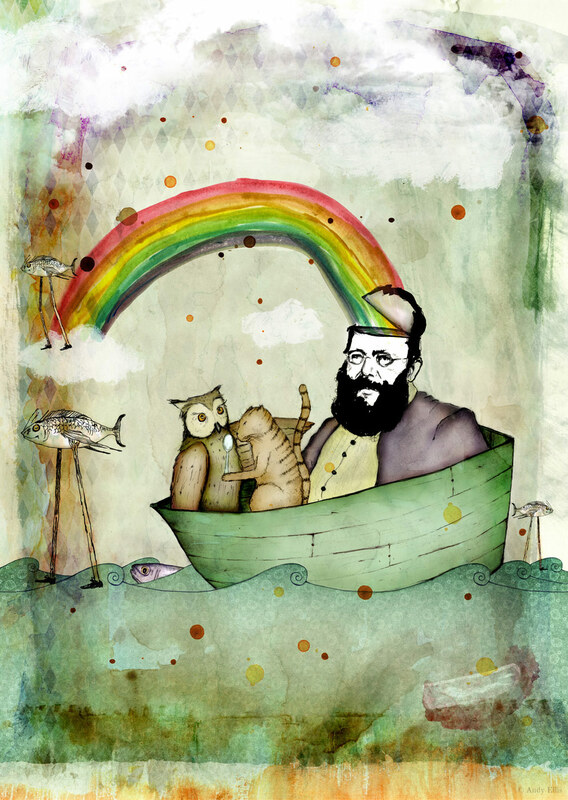 This world premiere family opera celebrates the life and work of Edward Lear (1812 – 1888). Best remembered for his lyrical, romantic whimsy ‘The Owl and the Pussycat’, Lear actually hoped the world might love him better for his serious landscape paintings. 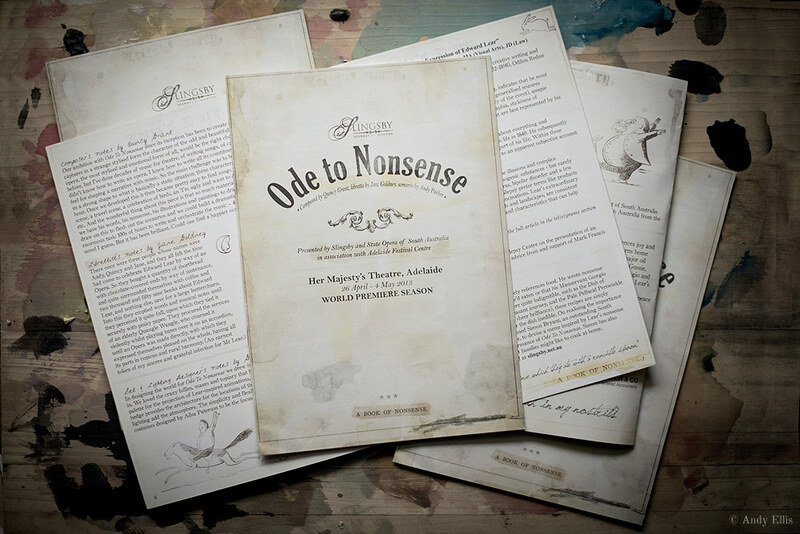 Ode to Nonsense sails cheeriously along with runcible spoons, fizzgigious fish and gosky patties, and delves into Lear’s inner conflicts. On his return from exotic travels with manservant Giorgio, Lear is reunited with his lifelong, unconfessed love Gussie. Performed in a lushly-designed ’Gromboolian Plain’ by three principals, a children’s chorus, acrobats and a chamber orchestra.